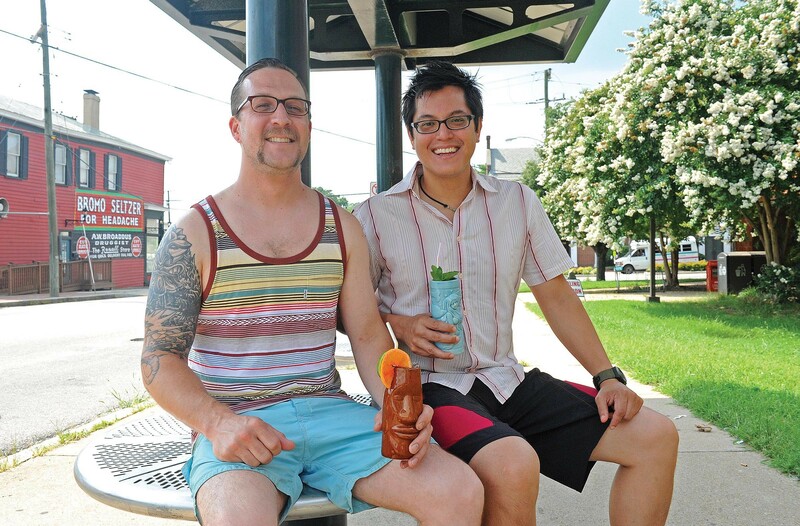 A one-night stand should deliver something Richmond lacks — such as the tiki takeover at Ipanema returning on June 16. The power of ambiance at last year's event, was evident with a bubble machine, blow-up palm trees, paper lanterns, grass skirtlike fringe around bar tables and fishing nets draped over booths. It was a night to revel in the heat: a vintage cocktail menu made seductive with a scorpion bowl for two, mai tais, Singapore slings and six other rum-based drinks from the heyday of Trader Vic's, not to mention complementary small plates with a tropical flair. Carved coconut heads kept watch over the festivities and a DJ provided music worthy of hula dancing. Organized by Roosevelt mixologist T. Leggett, the goal was to bring the tiki culture usually found only in larger cites to Richmond. He recruited Heritage's Tim Quinn and Acacia's Danny McDermott to don Hawaiian shirts and dive into the rum pool. Of the array used that night, he cites El Dorado Demerara rums and Clement rhum agricole as the gold standard: "Both are unique and a blast to work with." Leggett says he likes to "collaborate with some people who I admire and share common interests with and do some things that we don't normally do at our places — and to just throw a fun party."